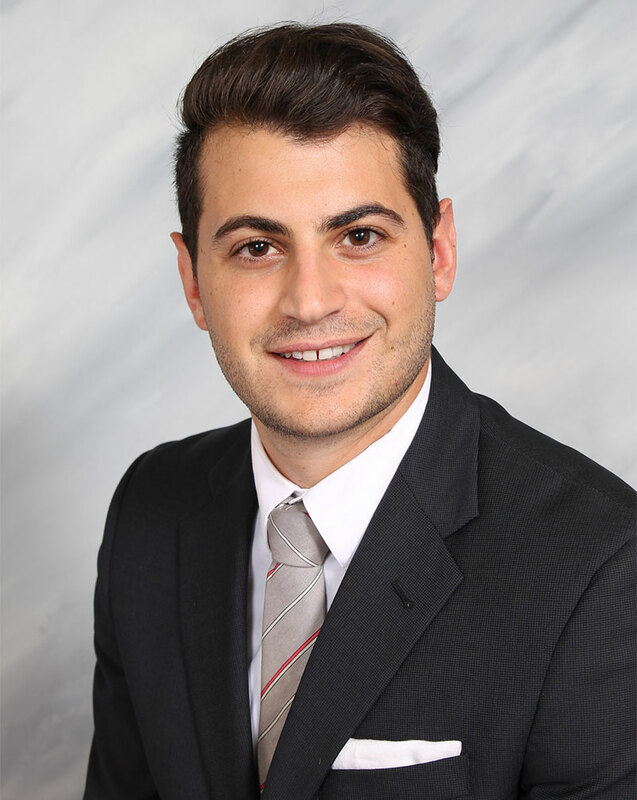 Born and raised in Stoney Creek, Paul Ciapanna, B.Com ’11, completed a 12-month internship through DeGroote with KPMG LLP, and was given an offer of employment after graduating. He has CPA and CA designations, and is currently a Senior Audit Manager working at the company’s Hamilton location, specializing in public-sector and not-for-profit accounting. What is it like working in one of the Big Four accounting firms? Tell me about your current position. I am a Senior Audit Manager at KPMG LLP, and have been in the audit practice for about seven years now. I work in the Hamilton office, which is considered a regional office. This gives me the best of both worlds as I get to work for a “Big Four” company but in a smaller subsection with about 120 other people, thus having the opportunity to get to know everyone. Also, there is a lot of variation with clients and responsibilities. I am not limited to audit practice but can get experience throughout the company in departments such as U.S. tax, Canadian tax, and Advisory. That’s really the impact of a Big Four company, especially in Hamilton. You can find a niche but also experience working on a bigger level. How did being involved in various activities at McMaster and DeGroote enhance your student experience? The impact was huge. I think aside from education, getting involved in clubs and activities is the other main aspect of the university experience. You can have straight A’s but if you don’t partake in extracurricular activities, you’re missing out on an important component. Stepping out of your comfort zone and learning how to balance extracurriculars with your classroom learning helps you take full advantage of your time at DeGroote, while also teaching you fundamental skills that you can use in your future career. You are involved with various Hamilton networks such as Hamilton Hive and CIPBA Hamilton-Halton. Why did you get involved with these organizations, and would you encourage students and young alumni to get involved in networking? Networking is vital in general. Especially working in public accounting, I knew it would be best if I started young. When I first started working at KPMG, it was 2009, during the recession, and everything was changing. Our office was changing and so was Hamilton. Being a Hamilton boy who planned on staying in the city, I wanted to be part of that change and see how it would affect my city. Thus, being involved in networking was really important to me. This gave me a great opportunity to connect with young professionals and experienced individuals who would be driving the change in Hamilton, and also put me in a position to learn from them. …if you don’t partake in extracurricular activities, you’re missing out on an important component. Stepping out of your comfort zone and learning how to balance extracurriculars with your classroom learning helps you take full advantage of your time at DeGroote, while also teaching you fundamental skills that you can use in your future career. Did you have a favorite professor/faculty member from your time at DeGroote? Since I have been involved with recruiting at DeGroote, I have been able to keep in touch with various professors who made a big impression. Eric Benson, Teal McAteer, and Emad Mohamed were always available and willing to listen. H.D. Howe, who was definitely a huge influence on my decision to go into financial reporting, was also fantastic. Lastly, Rita Cossa forced you to be detail-oriented from the very start, which is so important in one’s career. I can’t prepare financial statements without paying attention to the details. While at DeGroote you participated in the Commerce Internship Program. How was your experience with the program, and would you recommend it to students considering that path at DeGroote? The required Commerce 3INO course was huge on resume building. I had secured all my previous jobs through connections, or informally, and thus never needed to build a resume. It was extremely helpful to have such thorough guidance when I started the course. It really helped me build a strong resume. So, I owe my securing a job at KPMG to the course and how it helped me present such a polished resume. The 3INO course is also really crucial as most of us are so young when we graduate. Participating in a four-month placement does not give you the opportunity to build a relationship with a company and experience its ups and downs. Whereas, in a 12 to 16-month internship, you can really get a well-rounded experience. What was the experience of coming back to school like? How did the year of work experience help once you graduated from DeGroote? Since I got a return offer and had secured a job upon graduation, I had the opportunity to take advantage of my fourth year. It was not just about grades; I was very interested in the courses I was taking because I could visualize how they would relate to my career. Moreover, I really got to focus on building my network and connecting with my peers, which made my fourth year a memorable one. I can’t say enough good things about the 3INO course. It puts you in such a good place and gives you the relevant work experience you need to start your career. make sure you enjoy your journey and work hard, because you don’t need to rush to the top or skip steps. What was the key takeaway or lesson that you learned at DeGroote that you still apply in your life today? A major takeaway was being open-minded and being able to adapt to diverse environments. Coming from a small Hamilton high school to McMaster felt like being part of a small city. Everyone has their own backgrounds and ways of doing things, and learning how to work together despite these differences teaches you how to be patient, which is a crucial skill, especially as you move into management roles. Do you have any advice or recommendations for the Class of 2017? Especially those who are eager to start their careers? My advice for new grads would be not to expect everything too quickly. We always want the highest role, but you have to experience so much before you get to that level. A lot of people don’t enjoy where they are and don’t take full advantage of the opportunities they already have. Whereas for me, I was just happy that I got a job at KPMG. I enjoyed every step of being a junior to a senior and I know my clients, managers, and staff noticed this. So my advice would be to make sure you enjoy your journey and work hard, because you don’t need to rush to the top or skip steps. One thought on "Best of both worlds: DeGroote alumnus excels at Big Four accounting firm in hometown"
I am trying to reach Eric Benson. He left me a message for resources, and I cannot get a hold of him either by email or phone. I am with Wolters Kluwer and need to send him instructor’s support materials.